If summer love had its own soundtrack. 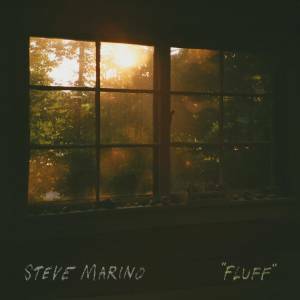 Steve Marino's new track "Fluff" is delicate, beautifully romantic and absolutely soul-touching piece of music. Listening to this makes me feel like driving somewhere far, far away with the windows completely rolled down and hiding from the rest of the world. "Fluff" is the title track off Steve's upcoming "debut" album scheduled for May 24 via Pittsburgh-based Darling Recordings. Why the double quotes around debut... well, he is actually no stranger to music. The US artist has recorded multiple solo albums (as Moor Hound), been in countless bands, and toured the country consistently, but this release is the first collection of songs he's released in his own name.